Autumn is the best time of year to enjoy being outside. 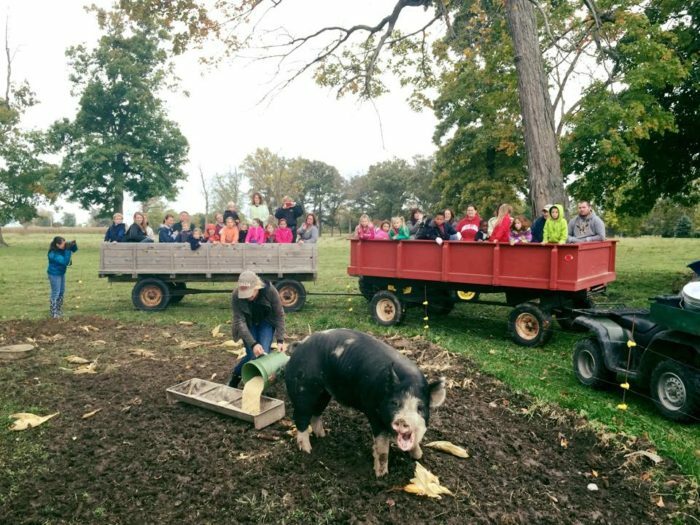 Rather than just sit around your yard, why not enjoy fall activities at a local farm. 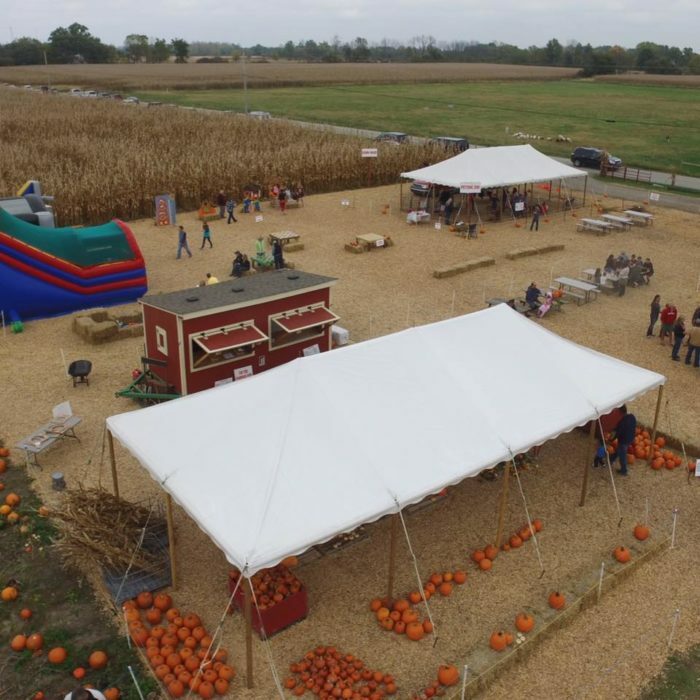 There’s one in Brownsburg, Indiana that has a unique corn maze every Hoosier will want to see. 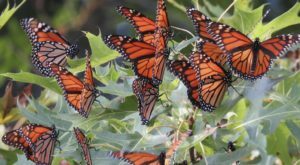 This budget-friendly autumn experience will give you memories to last a lifetime. Scroll on for details about hours and admission. Hogan Farms Pumpkin Patch & Corn Maze is a family-fun attraction you don't want to miss this fall. 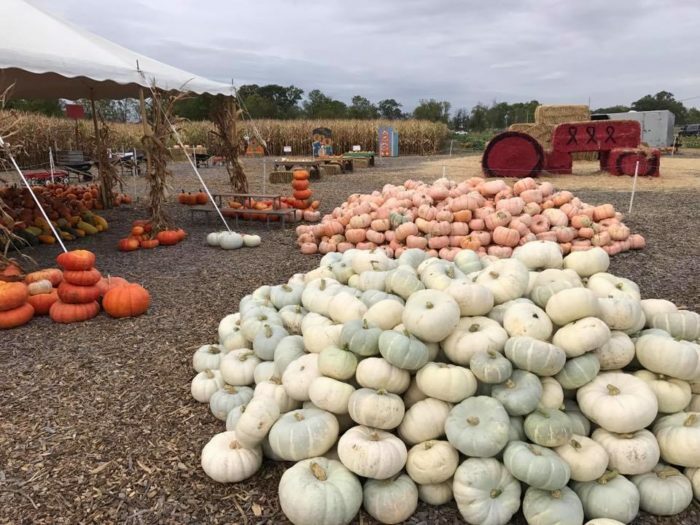 Locals of Brownsburg and the surrounding area look forward to this farm's fall events each and every year. 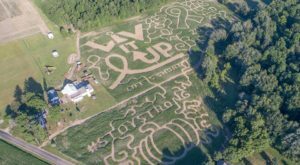 Beginning September 29, 2018 and lasting through October 28, 2018, the farm and its unique corn maze will be open for all to enjoy. The price is $8 per person to get lost in this labyrinth of maize. 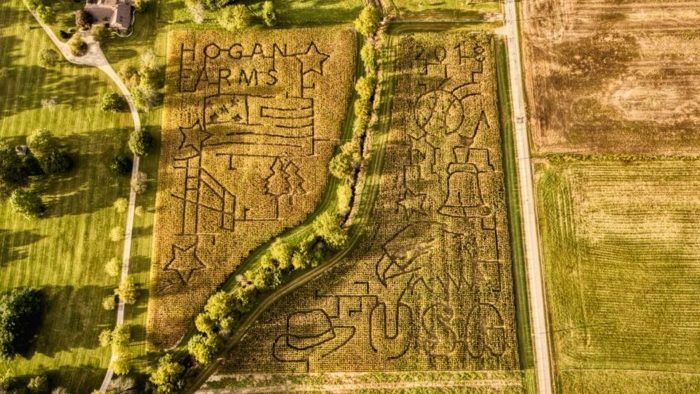 Hogan Farms gives its corn maze a new look each and every year. This year's theme is "USA," and the design includes an American flag, a cowboy hat, and a baseball. Previous years' designs have included themes like Cancer Awareness, the Indy Colts, and even a call to vote. 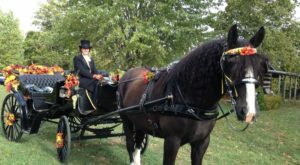 A wealth of other fun fall activities are available at this farm as well. You can pick your own pumpkins from the field or grab from the ones that have already been harvested. 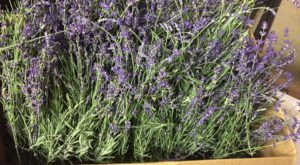 They are priced by size and range from $2 to $25. 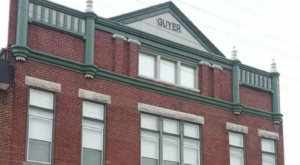 Additional attractions include hayrides for $5. 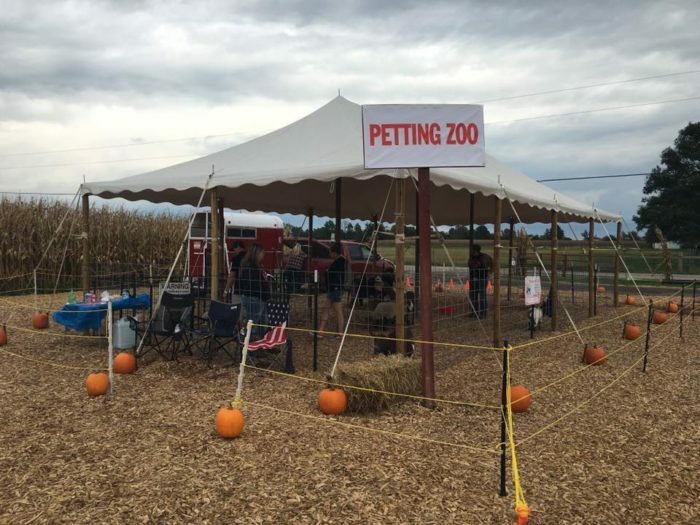 There is also a petting zoo and kids' zone that are available for $6. Children enjoy inflatables, giant straw structures, pumpkin checkers, and pumpkin tic-tac-toe. 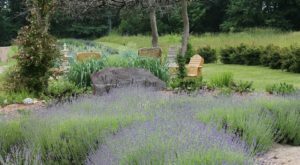 The orchard is open Tuesdays through Sundays between September 29 and October 28, 2018. 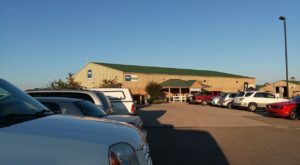 Hours are 2 p.m. to 6 p.m. Tuesday through Thursday and 10 a.m. to 6 p.m. Friday through Sunday. For any of the attractions on the farm, children who are very small (below 36 inches) are admitted for free. Hogan Farms Pumpkin Path & Corn Maze is located at 8900 E County Rd. 1000 N, Brownsburg, IN 46112, and you can learn more on its website or Facebook page. 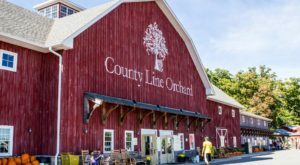 For more fall fun, check out the amazing apple cider slushies at this Indiana orchard every Hoosier needs to visit. 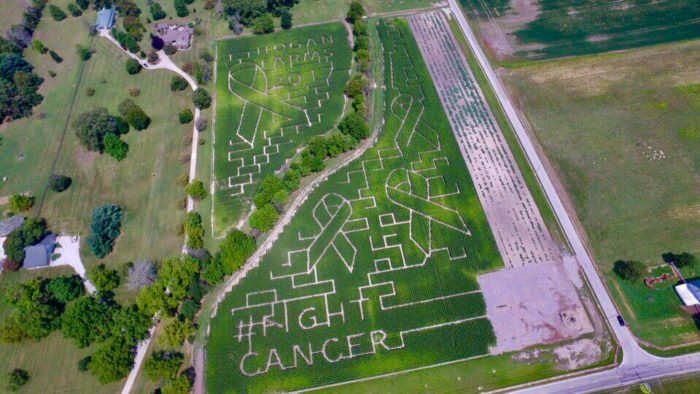 If you’ve ever been through this unique corn maze, we’d love to hear from you. Please share your experiences and photos with us below in the comments.